Ben McElroy first came to the United States as a student in 1995, working in Kentucky for Jim Fitzgerald's Knockgriffin Farm. In 1997, upon completion of his degree in Equine Science, Ben returned to the United States to pursue a career in the heart of horse country, in Central Kentucky. He honed his horsemanship skills, first as a stallion groom, which included overseeing the shuttling of stallions standing on Southern Hemisphere time. He progressively advanced his career from Yearling Manager to Farm Manager at a leading Kentucky farm. His career has allowed him unique exposure to all facets of the business, from breeding, to racing, to pinhooking, to partnerships. Relying on his many years of experience, Ben founded his own Bloodstock agency in 2006. Since the inception of McElroy Equine, his clients have enjoyed nearly unparalleled success, considering the relatively limited number of horses purchased on a modest budget. McElroy Equine graduates have distinguished themselves around the globe in some of the world's most storied venues. Counted among McElroy Equine graduates are five 2014 Grade 1 performers, which include HOOTENANNY, winner of the Grade 1 Breeder's Cup Juvenile Turf, FASHION PLATE, a multiple Grade 1 winner, SUNSET GLOW, one of the best two-year-old fillies in the country, who won the Grade 1 Del Mar Debutante and was runner-up in the Breeder's Cup Juvenile Fillies (G1). In addition, ALBERT MOONEY won the Group 1 Princess Margaret Cup, and FIRING LINE placed to DORTMUND in the Grade 1 Los Alamitos Futurity. Ben was also responsible for the purchase of Champion KODIAK COWBOY, CHIEF'S LAKE, AUTHENTICAT, and LANTANA MOB. He was instrumental in purchasing SILVER TRAIN just before he won the prestigious Grade 1 Met Mile. Other standouts include GAMEFACE, ROSHANI, LONG LASHES, LAUGHING LASHES, and the list goes on. Silverton Hill, LLC, which is owned by Tommy and Bonnie Hamilton have been Ben's main patrons over the last three years. The Hamiltons were quickly rewarded for their faith in Ben's equine prowess when one of their purchases, PATHFORK, was named Ireland's Champion two-year old colt for 2010. The Hamiltons have enjoyed Grade 1 success on both sides of the pond. Their SWAGGER JACK was SMART STRIKE'S leading earner in 2013, after his victory in the Grade 1 Carter Handicap, in New York. 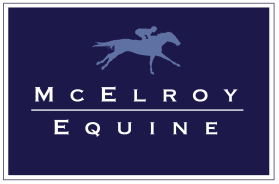 McElroy Equine selected 4 individual Grade 1 Winners in 2014.